Join Parlour at MPavilion to celebrate the launch of Marion’s List, a new public register for the women of Australian architecture. Marion’s List is created as a resource for those looking for expert commentary or input, and for those wanting to be involved in the people of architecture’s public culture—things like talks, panels, juries, teaching and much more! With Marion’s List, Parlour hopes that we need never again hear: ‘We asked a woman, but she wasn’t available.’ Marion’s List is also a space to be seen, a place to reimagine what an architect looks like and does, and introduce the myriad of women involved in Australian architecture and other built environment disciplines. 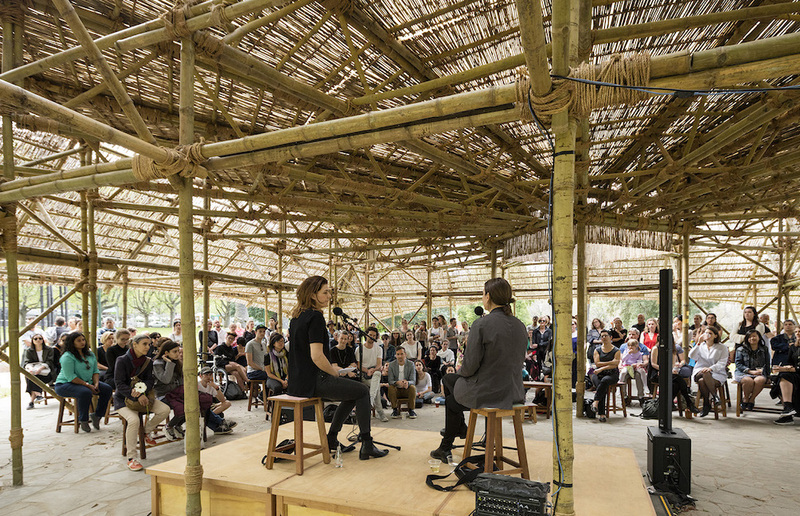 Come along to the MPavilion and hear Parlour’s Karen Burns and guest speaker Amy Mullins, director of the Women’s Leadership Institute of Australia, on why Marion’s List matters and the importance of women participating in the public culture of architecture. Celebrate the launch of this important resource at the culmination of another successful year for Parlour. All are welcome! Attending this talk or listening to the recording (coming soon) attracts one informal continuing professional development (CPD) point for practicing architects. You can revisit this MTalks at our library page.